Spartacus Actor Dies At 39. Posted on September 12, 2011 by Big Red	in Movie Booty and tagged andy whitfield, andy whitfield dies of cancer, lymphoma, spartacus blood and sand, tv news, tv shows. This is indeed sad news to start a day with. 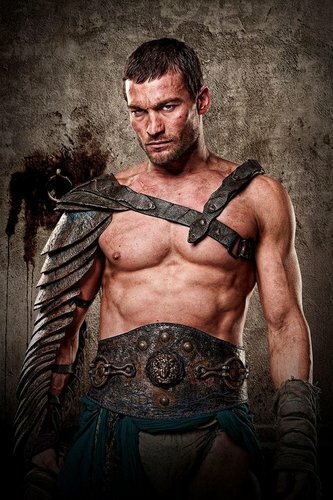 Andy Whitfield, who played the lead role in the hit TV series Spartacus: Blood & Sand died at his home in Sydney, Australia at the age of 39. Whitfield was diagnosed 18 months ago with Lymphoma and was forced to leave the show to receive treatment in New Zealand, but when his condition grew gradually worse his role was taken over by another actor for the second series. His manager Sam Maydew spoke to the press: , (if the following statement doesn’t give you even a tiny hint of a lump in your throat you are clinically dead). Teaser Trailer For The Walking Dead Series 2. Posted on July 18, 2011 by Big Red	in TV Booty and tagged horror, the walking dead trailer, the walking dead. the walking dead season 2 trailer, tv seasons, tv series, tv shows, zombies. Notice how we used the word ‘series‘ in the title? That’s because we refuse to use the word ‘season‘, simply because we’ve been using the British word for decades and there’s no real need to change and start using the American version now. Take yesterday for instance we had rowed ashore for some supplies and while we were pushing our cart trolley up and down the aisles we noticed that many of the large family sized packets of crisps have change their product titles to ‘chips‘. There’s also a poster campaign doing the rounds appealing for ‘rookie lifeguards’, should that not be ‘trainee lifeguards’? Anyway here’s Andrew Lincoln bashing some zombies about with a rock.